Professional Phone Manager para Android & iOS. ApowerManager es un administrador telefónico profesional para Android y iOS. Le permite administrar fácilmente todos los archivos almacenados en su teléfono desde la computadora, admitiendo tanto sistemas Windows como Mac. 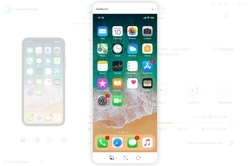 Con él, puede transferir, eliminar y editar libremente los datos de su teléfono, incluyendo imágenes, videos, música, contactos, mensajes, aplicaciones y más. Además, también puede hacer una copia de seguridad completa de su teléfono en la computadora o restaurar los archivos de copia de seguridad anteriores a su teléfono dentro de los clics. Además, le permite visualizar la pantalla del teléfono en la PC en tiempo real a través de un cable USB o WiFi, tomar capturas de pantalla e incluso grabar la pantalla de su teléfono con sonido. 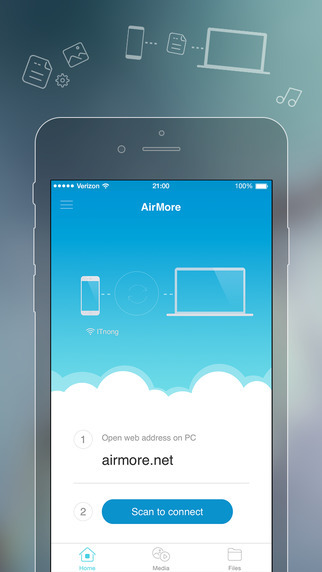 AirMore empowers you to connect your mobile device to PC wirelessly and transfer data without any hassle. You just need to open it in your web browser on PC and scan the QR code. 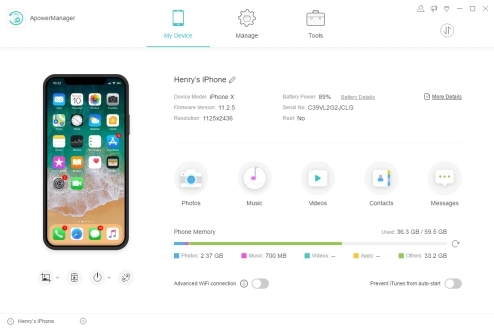 After that, all data on your mobile phone will be shown on your computer. 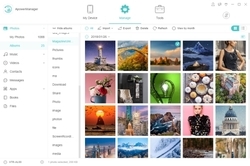 Free Online Screenshot is a web based screenshot application, which grants you the ability to capture anything you see on screen as image and make some quick editing by adding text, arrows, lines and many more. 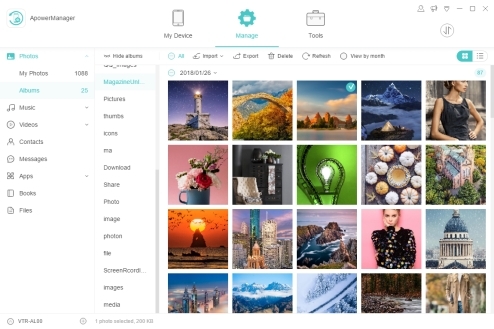 Plus, image uploading and sharing are also available with this tool. Free Online Video Converter is a web-based application to convert videos in your local drive to any other formats that are compatible with your digital devices like PSP, iPhone, iPad, DVD player, etc. What’s more? This tool is totally free and does not require installation. You can make use of it right away. 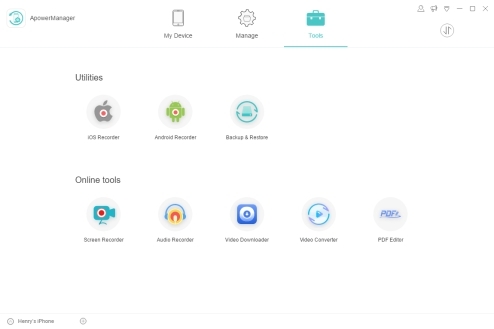 Free audio recorder is a useful tool that supports for both Windows and Mac. 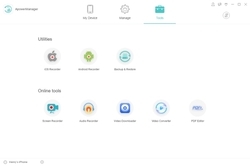 With it, you can record any audio from computer sound card and microphone. 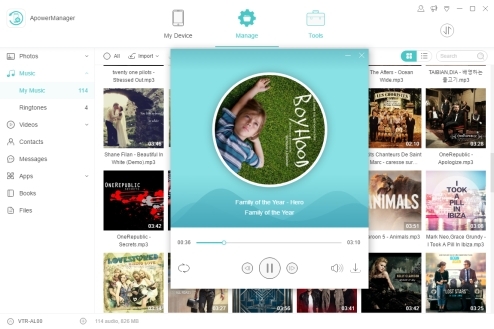 Even better, it supports to play, manage recorded audio files and add ID3 tags for them. 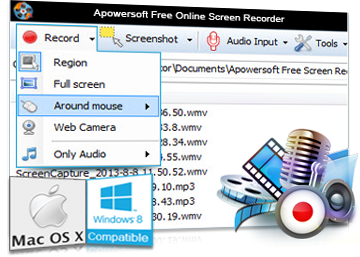 Free Online Screen Recorder is a simple yet web-based screen recording tool, which works well on Windows and Mac. It supports recording screen/webcam with system sound, microphone or both. Moreover, it provides making real-time editing to make your video more instructive. 1-Year license?Thank you. Don't need it. 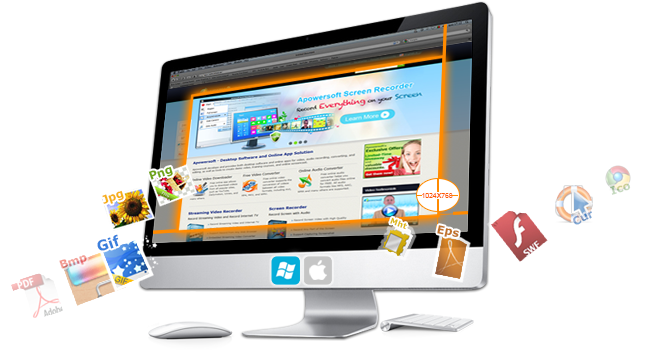 "that software is absolutely free"
Find all Apowersoft products here to simply experience your multimedia life. The developper wants every year a amount of money. And GOTD offers this for free. Just one year, because the developper offers also one year. "That means – not a trial, not a limited version – but a registered and legal version of the software is completely free for our visitors"
And the offer of GOTD is legal, because the offer is for one year, just like the price of the developper asks. GOTD give the same limitations as the developper. So the limitation is from the developper. 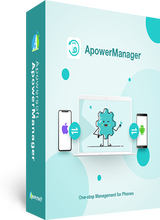 Laxative, "that software is absolutely free" On the site of the developper: *** Apowersoft Unlimited Become an Apowersoft Premium Today Find all Apowersoft products here to simply experience your multimedia life. $859.88 <b>$59.95 /year</b> *** The developper wants every year a amount of money. And GOTD offers this for free. Just one year, because the developper offers also <b>one</b> year. "That means – not a trial, not a limited version – but a registered and legal version of the software is completely free for our visitors" And the offer of GOTD is legal, because the offer is for one year, just like the price of the developper asks. GOTD give the same limitations as the developper. So the limitation is from the developper. LEO, don't need it or don't want it for one year? One year testing for free. After that time you can decide to keep or not. When you buy a car, you only get a short test-drive and have to decide to give thousands dollars/ponds/dinar/lira . . .
LEO, don't need it or don't want it for one year? One year testing for free. After that time you can decide to keep or not. When you buy a car, you only get a short test-drive and have to decide to give thousands dollars/ponds/dinar/lira . . .
$59.95 /year is the Ultimate version of Apower. Not a bad program & far better than many phone managers. As usual, Apower has no clue how to get you to register their programs & it is beyond convoluted. You have to look very closely to see they included the license way at the bottom of the text file. Yet they ask you to either login or set up an account. I have an account yet all it does is ask you to buy the VIP version. Never got an email. They really need to hire an English speaking person even a tech savy kid part time to write these instructions. The program worked great & was very easy to use. Lots of nice features and I would ignore the negative reviews & try it. Unnecessarily Cumbersome software. Nonfriendly user interface. 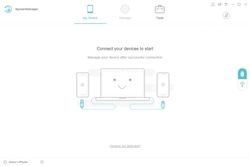 WiFi App asks for tons of permissions. Many free alternative Apps available. Unnecessarily Cumbersome software. Nonfriendly user interface. 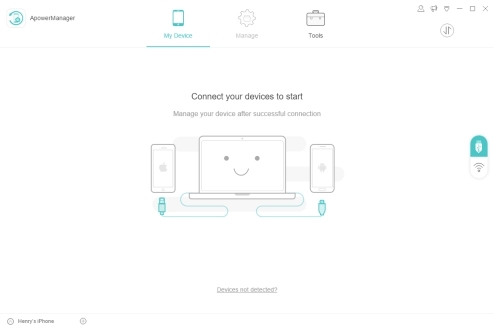 WiFi App asks for tons of permissions. Many free alternative Apps available. Sorry. Uninstalling.